Free download the game,manage your own miner team and explore the mysterious underground mine cave.Expand your miner empire！Your miner contigent will tirelessly mine automatically and bring you huge profits! Take on the evil guardian challenge and discover the best mining strategy and earn as much gold,diamond and crystal as possible! Features：• Auto dig to increase your idle income• Get idle treasure, even when you are offline• Increase pforfits efficiency through rare collections• Upgrade your protagonist and unlock skills• Every type of miner has a special skill• Manage up max 30 cool miners• More than 10 different event: Death Faith,Gold World,Portal,Miner Rescue,etc.• Conquer the mysterious monster and get their evil core!— Become the best mine master ever! — Got any problems or suggestions? 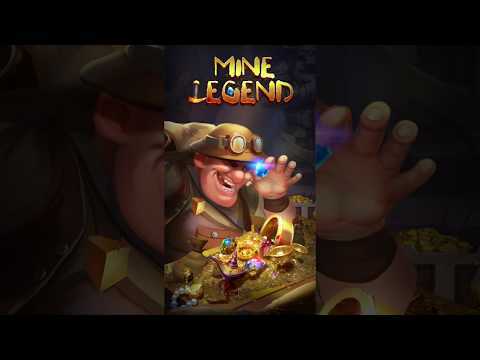 Just to send a message to our email:handdown_feedback@yeah.netOr contact us on facebook:https://www.facebook.com/MineLegend-1761385283984118/?modal=admin_todo_tourWe are always happy to hear our players’ feedback!